Age-related loss of intestinal stem cell function can be reversed by a 24-hour fast. 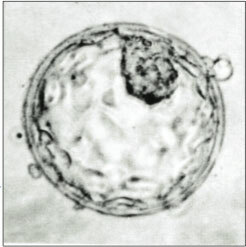 The first synthetic embryo has been born without a sperm or egg. Stem-cell based stroke treatment repairs damaged brain tissue. Fat cells converted into stem cells can repair any damaged tissues. Using relatives of Dolly the Sheep, scientists have found that cloned animals do not age faster than their non-cloned peers. How far away is human cloning?